Stock up, but not everyone convinced. CEO Elon Musk shown exiting the back seat of a Model 3 at its debut. Musk still needs to dig out of trouble caused by Model 3 delays. It’s been a tough few weeks for Tesla, the battery-electric automaker again missing production targets, being accused of improperly firing nearly 1,000 factory workers and being scolded by federal safety regulators for its role in investigating a fatal crash involving its semi-autonomous Autopilot system. But that has done little to dampen the enthusiasm of CEO Elon Musk. After earlier this week suggesting Model 3 production isn’t delayed but in a “time shift,” the South African-born exec on Friday tweeted a promise that Tesla will be both profitable and produce positive cash flow by the second half of this year. The snarky response seems to be resonating with investors, Tesla’s stock rebounding after a sharp drop on Thursday. TSLA shares have always been volatile, but that’s been all the more so in recent months as a variety of issues have put a harsher-than-usual spotlight on the company. 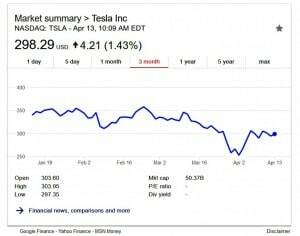 From a 52-week high of $389.61, the shares plunged to just $252.48 on April 2, following word that Tesla had again missed production on the time-shifted Model 3. 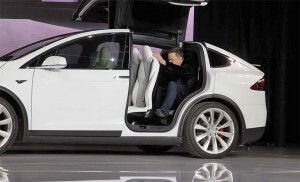 But it was off by only 20 percent, a figure many investors apparently felt was close enough – especially with Musk insisting the numbers would jump from 2,000 vehicles a week during the first quarter to 5,000 by the end of Q2. Three days later, the shares had rebounded to $305.72, before again slacking off as more bad news appeared. That included news that the company was facing a probe by the National Labor Relations Board accusing it of improperly dismissing almost 1,000 factory workers, allegedly due to support for a union at Tesla’s Fremont, California plant. Then, yesterday, Tesla was essentially ordered off the case by the National Transportation Safety Board in the probe of a recent fatal crash of a Model X that was operating in Autopilot mode. The NTSB chafed that Tesla improperly released incomplete data without authorization. While such headlines can give investors the jitters, but what appears to matter most is getting through what Musk has repeatedly referred to as “production hell” at the Fremont plant. And during a CBS interview this week, Musk suggested that things are moving in the right direction. 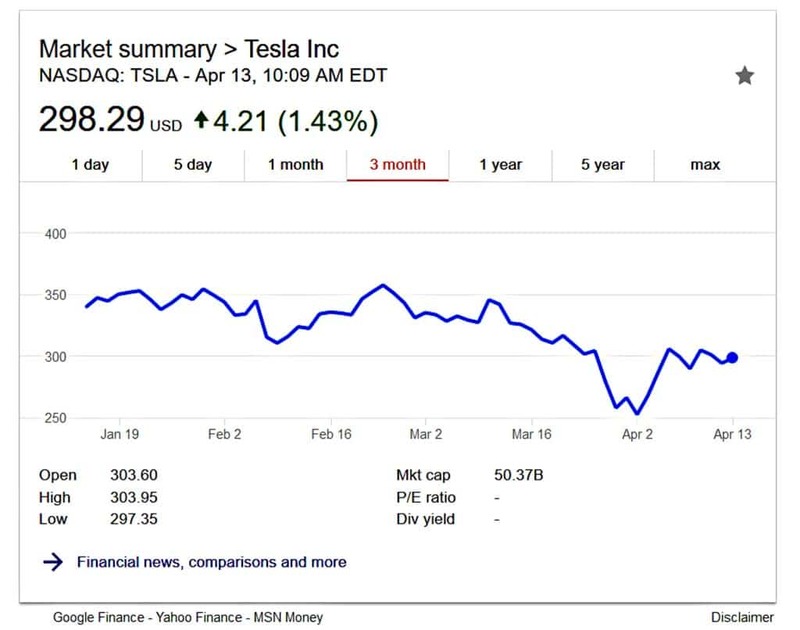 Only a week earlier, the company issued a statement declaring it was “laying the groundwork for Q3 to have the long-sought ideal combination of high volume, good gross margin and strong positive operating cash flow,” a position underscored by Musk’s Friday morning tweet. But not everyone is convinced. There are growing concerns about the long delays in ramping up Model 3 production and deliveries – some early customer reservations now not likely to be fulfilled until late 2019, and perhaps even 2020. Some California Chevrolet dealers have reported selling their own long-range EV, the Chevy Bolt, to customers who canceled Model 3 orders. And that situation could worsen as more alternatives to the Tesla come to market, warned Gordon Johnson, an analyst with the Vertical Group during a CNBC interview. There will be four more affordable, long-range EVs debuting in the U.S. this year, he noted, with an estimated 101 on the road by 2021. 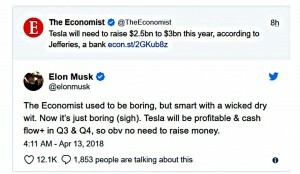 Analysts have been known to flip-flop on Tesla. And if Musk delivers this year, all might be forgiven by even the biggest bears. 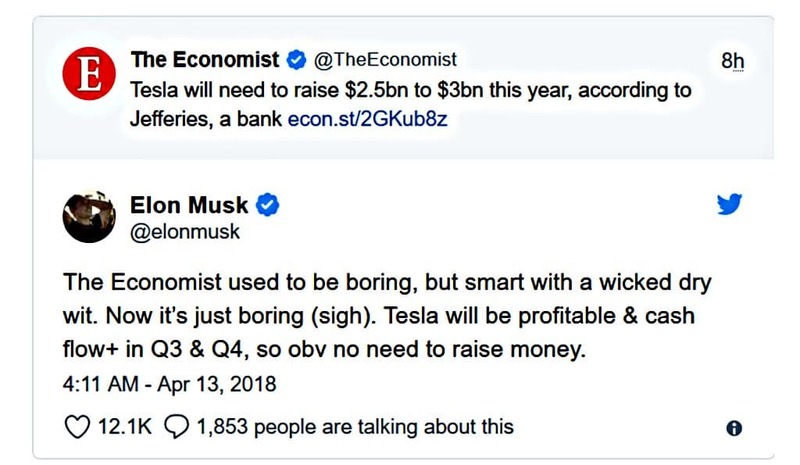 But Tesla has a long history of missing both production and earnings targets. It has so far been in the black just twice since its IPO and for the final quarter of 2017 it went $675 million into the red. That was nearly a six-fold increase from the $121 million deficit of a year earlier, and its worst loss ever. The company will report first-quarter 2018 financials on May 2nd. This entry was posted on Friday, April 13th, 2018 at and is filed under Automobiles, Autonomous Driving, Business, EVs, Earnings, Executives, Financials, Investors, Markets, Personalities, Sales, Semi-autonomous Driving, Technology, Tesla. You can follow any responses to this entry through the RSS 2.0 feed. Both comments and pings are currently closed.